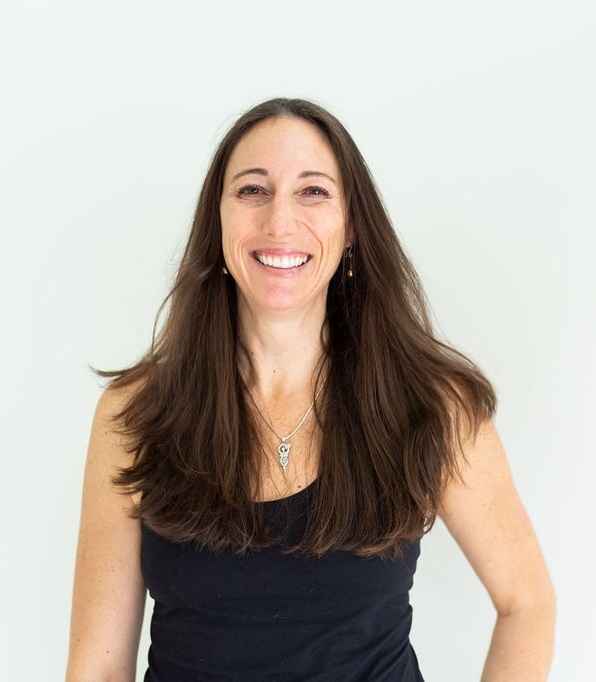 Owner and Certified PHI Pilates instructor Robin Truxel holds a BS in Clinical Science and an MS in Physical Therapy from Ithaca College in Ithaca, New York. Robin has considerable professional experience working with a range of individuals from professional athletes to prenatal and post-partum women to mature clients with osteoporosis. Robin's journey with Pilates began as a way to rehabilitate a back and hip injury while training for road marathons. She continued to study the movement for the streamlined effect it had on her body. Robin has successfully completed 13 marathons (including Boston, New York and Death Valley) and improved her scoliosis with help from Pilates and Stretch Therapy techniques. She is passionate about helping pregnant women and new mamas as well as those with complicated injuries. Desiree Cafaro holds a BS in Psychology from Appalachian State University and is a certified Pilates instructor through The Pilates Method Alliance (PMA) and has extensive experience working as a physical therapy aide. Desiree enjoys working with individuals of all abilities and helping them to achieve their fitness goals and is especially passionate about working with people who have back pain. Desiree is also a Health Coach through the Institute of Integrative Nutrition, and she supports clients as they make changes in their diet to feel their best and live healthier. For more information visit www.bodybewhole.com. Ellie Tor has been teaching Pilates for over 15 years. She first earned a BA in English Literature from Montana State University and then spent a year completing her mat and apparatus Pilates certification through the PhysicalMind Institute in Portland, Oregon in 2004. After finishing her certification, Ellie owned and operated her own studio, Tor Pilates, in Bozeman MT until she moved back to her birthplace, Charlottesville, in 2009. Ellie loves to combine her experience in dance, TRX and Stretch Therapy to create new choreography and to keep her classes interesting. She works with clients of all ages and abilities and hopes to foster a fun approach to movement. Lizzie Coleman holds a BA in Art History and French from Lake Forest College in Illinois and is a Certified Pilates Instructor through Balanced Body University. Lizzie is the mother of three children. She volunteers as a land coach for the Western Albemarle High School crew team. She is a lifelong horse, down-hill skiing and tennis enthusiast. Her active lifestyle has always been complemented by various forms of organized exercise. Lizzie discovered Pilates in her early 40s and was completely won over by its rejuvenating effects. She is eager to share with her clients the incredible postural strength and energy found in a consistent Pilates practice. Bridget Harrison had been practicing Pilates for over 15 years, and teaching for three. As an avid equestrian, she has found that applying the movement principles of Pilates to her horseback riding has greatly improved her balance, symmetry, and control. It was her desire to more fully connect with Pilates exercises that led Bridget to pursue teaching. Since completing her comprehensive certification from Balanced Body in 2013, Bridget enjoys teaching on multiple Pilates apparatuses including reformer, chair, tower, barrel, and mat. Bridget has twin boys who were born in 2016, and she credits her dedicated Pilates practice at tru for her healthy pregnancy and recovery postpartum. Liz is a former dancer who has been teaching movement since 2013. She was a member, and then the coach, of the University of Virginia Dance Team and has taught cycling, barre, and interval training. Liz began Pilates as a way to manage her scoliosis and noticed how well it complemented her other athletic training. She decided to become certified through the BASI Pilates Comprehensive Teacher Training Program and is working to complete her 500-hour apprenticeship. Liz is excited to help clients achieve balance and strength through Pilates, and in particular, she is hoping to share the magic of Pilates with other fitness enthusiasts. Also, Liz graduated from the University of Richmond School of Law in 2013 and is a full-time attorney. Julia Bruneau holds a BA in Biology from University of Virginia and a Doctor of Physical Therapy from Virginia Commonwealth University. She first discovered Pilates at tru Pilates in 2006, drawn to the comprehensive way it toned and energized the whole body. As a natural extension of her interest in body mechanics, movement and posture, she began her Pilates certification in 2008 under PHI Pilates. She enjoys helping clients of all backgrounds discover the benefits of a balanced, healthy lifestyle that Pilates creates. When she is not teaching Pilates or working as a physical therapist, Julia spends time with her family doing DIY projects in her home. Romina de los Santos has been teaching Pilates for over 15 years. She earned her full certification in apparatus and mat Pilates from Marie José Blom in Long Beach, California in 2000. Romina has taught Pilates in classical as well as contemporary styles at studios in California, Oregon and Massachusetts. In addition to her Pilates training, Romina is a certified instructor of GYROTONIC® exercise. Romina holds a BFA in Dance from Cal State Long Beach, and in 2007 she was awarded an Enrichment Fellowship for MFA studies in Dance from The Ohio State University. As a gymnast and dancer, Kiersten loved the art form in movement. She earned her BS degree in Psychology from Skidmore College and her BA degree in Nursing from UVA. She began her Pilates training in a rehabilitative facility in Virginia and then earned certification with STOTT Pilates in Boston and later PHI Pilates. She practices gymnastics regularly with the UVA team "kids" and also enjoys peaceful interludes reading novels and biographies snuggled up with Roxy, the family French Bulldog.